March 25, 2015 admin Comments Off on Do I Need Mold Testing? Have you or a member of your family been experiencing allergies, recurring congestion, runny nose, sneezing or frequent headaches? If so, there is a very good likelyhood that you may have a mold contamination lurking somewhere hidden within you home that may be contributing to Sick Building Syndrome. Even if it is not visible, the presence of mold within a home can have the ability to wreak havoc on the health of building occupants, causing mild to severe, and even debilitating symptoms and much more. But, how do you know if you have an unwanted mold guest taking up residency in your home? 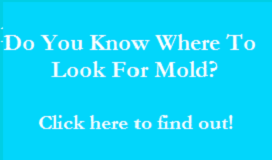 If you have ever considered the question of “do I need mold testing?” as a result of symptoms, visible mold present within you home, or a moldy smell, than the likely answer is: Yes, you do! In may cases, the appearance of unwanted health symptoms, experienced by one or multiple family members, is often the first indication that there may be a mold problem creeping the walls. Often, these symptoms ease up upon leaving your residence and reappear again upon your return. In many cases, a moldy smell or musty odor is often a clue that there may be a hidden issue. The sudden or recurring appearance of visible mold is also a tell tale sign that should never be ignored. Cleaning up visible mold in a specific area, only to have it re-appear shorly after is an excellent indicator that there may be a more serious issue hiding in areas we can’t see. If your home has experienced a flood, water intrusion, roofing leaks, chronic moisture problems or even a humidity or condensation issue, there may be a very good chance that a mold contamination could be inevitable. 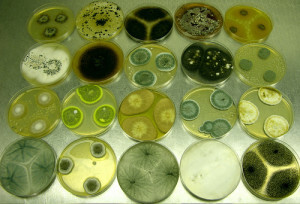 The presence of any of these indicators can create a perfect environment to foster mold growth, and allow it to proliferate and even spread to other areas of your home. But how do you know for sure? That’s where a mold assessment with mold testing can help. Hiring the servcices of a specialized mold inspection and testing provider can be an excellent return on your investment and can quickly and easily provide you with the information needed to determine what potential mold growth may be occuring within your home….particularly in areas, like your building envelope, that are not visible with the naked eye. Typically, an assessment is comprised of both a visual inspection of your residence, with the use of thermal imaging equiptment (to look for underlying conditions that may be present and would give rise to mold growth), as well as air sampling/testing for the presence of airborne fungal particulates. Often, a basic, or a more thorough assessment can be performed, with the basic testing determining the type and level of particulates that are present in representative areas within your home, and a more thorough assessment allowing for the isolation of a contamination to a specific location so that it can be properly removed from the environment. It is also very important to remember that it is not generally enough to simply “get rid of the mold”. It is also very important to resolve the underlying condition that allowed for the mold growth to develop in the first place. If this underlying condition is not resolved, you will have a cyclical pattern of mold growth, clean up, and then return growth shortly thereafter. When choosing a company to work with, it is important to ensure that they are specialized environmental assessment and testing experts. Look for someone who offers “conflict of interest free” assessment services, meaning they do the inspection and testing only, and do not perform any mold removal or remediation services. This is in your best interest to help protect you from companies that are out to sell you costly mold removal services that you may not need, or that are not required, and are looking to get a foot in the door by offering “free inspections” with little or insufficient testing conducted. 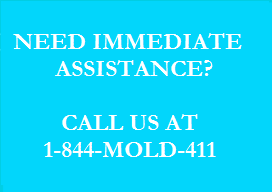 Once results are recieved, you will be in a much better position to seek out a professional mold remediation provider. So, if you or a family member are experiencing any of the symptoms or maintenance issues noted above, and are pondering the question “Do I need mold testing”?, the answer is likely “YES”.